Ships today if you order in the next 7 hours 50 minutes. Folate is a B vitamin that is part of the larger B vitamin family. 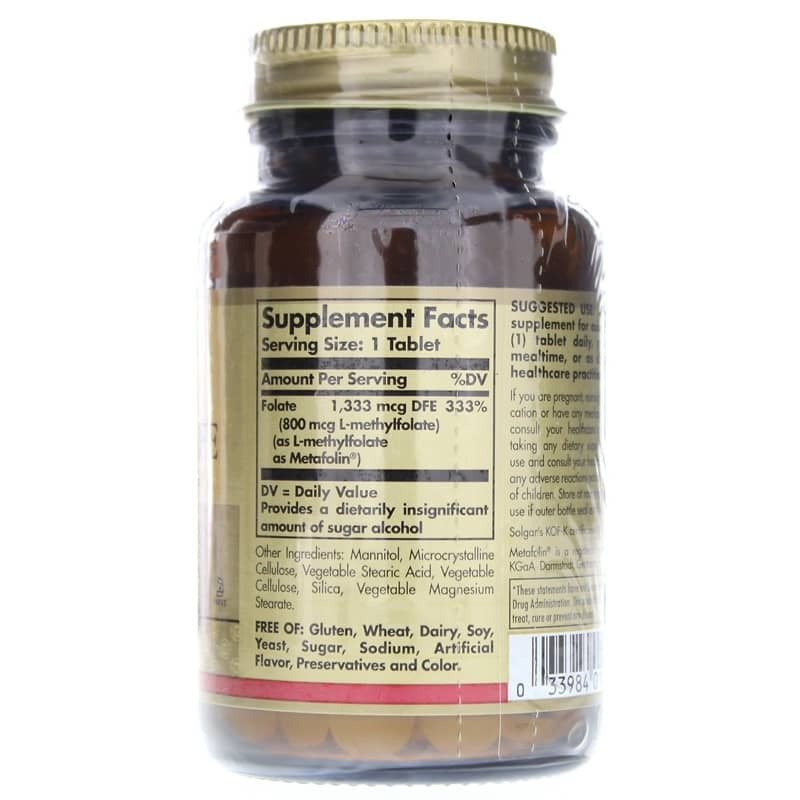 It plays an important role in the body, including assisting in the metabolism of amino acids and proteins, which support energy production. It may also support cardiovascular health. Folate can also be found in foods like chickpeas, beans, and lentils, but it is especially abundant in dark, leafy greens like broccoli and spinach. 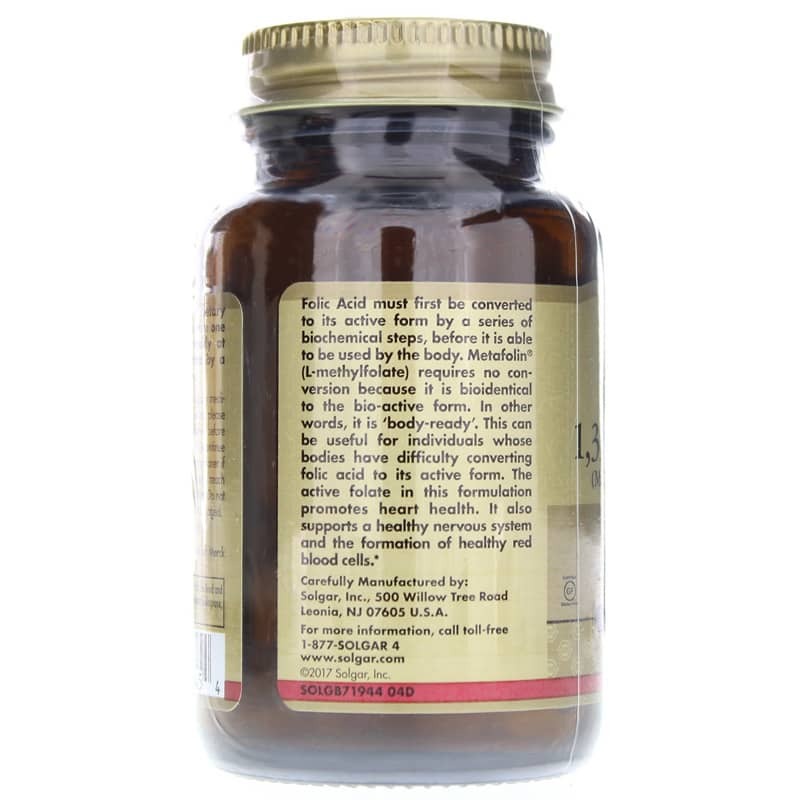 However, it is also popular as a supplement, particularly for people who do not get enough folate in their daily diets. 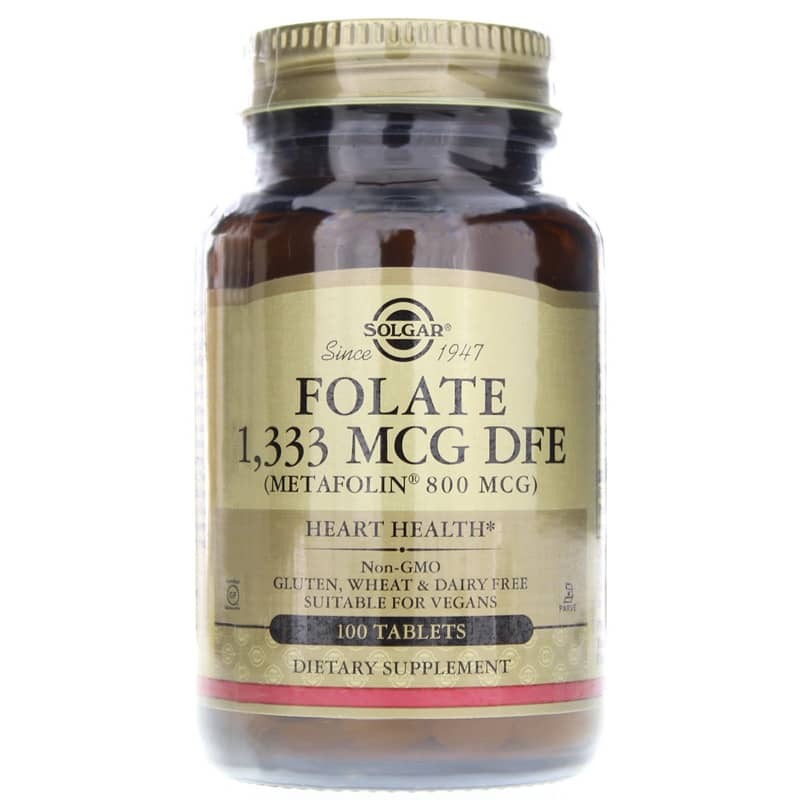 Solgar's folate supplement is available in the form of Metafolin® to promote absorption. This is because folate must be converted to its active form before the body can use it. However, Metafolin does not require conversion, so your body can use it immediately. If you're looking to supplement your folate levels with a supplement, Folate from Solgar may make a difference to your health. Get it here. Other Ingredients: mannitol, microcrystalline cellulose, vegetable stearic acid, vegetable cellulose, silica, vegetable magnesium stearate. Contains NO: gluten, wheat, dairy, soy, yeast, sugar, sodium, artificial flavor, sweetener, preservatives and color. Vegan. Metafolin is a registered trademark of Merck KGaA, Darmstadt, Germany. 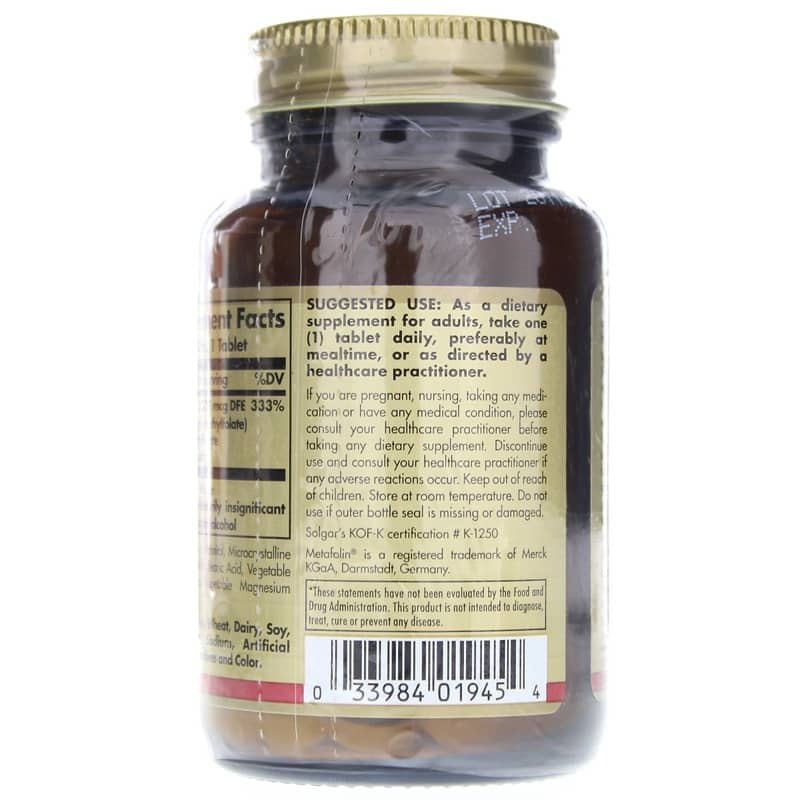 Adults: As a dietary supplement for adults, take one (1) tablet one to two times daily, preferably at mealtime, or as directed by a healthcare practitioner. I like it and Natural Healthy Concepts always delivers - quickly. !